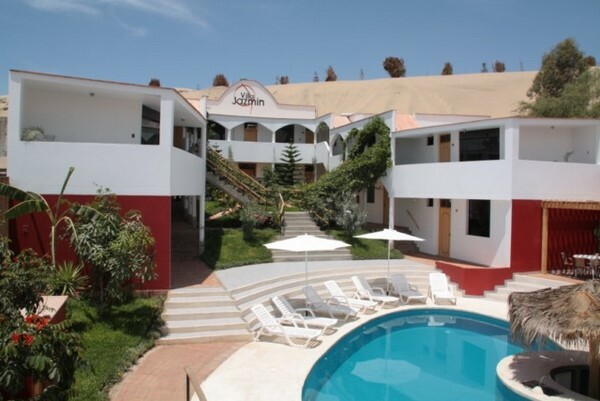 Villa Jazmin is a beautiful, eco-friendly hotel in Ica, Peru. 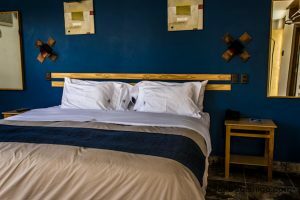 It is located in a quiet residential neighborhood surrounded by magnificent sand dunes, making for a wonderful combination of tranquility and marvelous views. 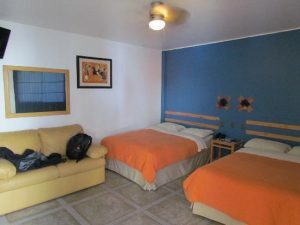 There are 30 beautiful rooms with full, spacious bathrooms to choose from. 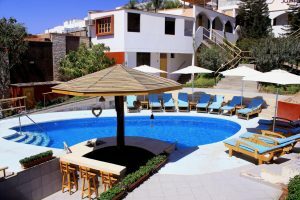 Villa Jazmin is the perfect place to rest and enjoy the sun before moving on to Arequipa or Lima, and it’s central location is convenient for visiting the Nazca lines, the Ballestas Islands and the Paracas Reserve. You can also visit one of the many Peruvian vineyards or for a desert adventure in a buggy.